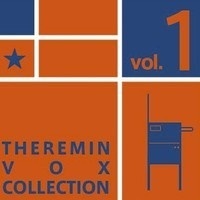 Masami Takeuchi has announced an album of theremin music: “Theremin Vox Collection Vol.1”. It combines the sounds of acoustic piano and the Gordin Masazane theremin, which his own company produces. Samples are available on SoundCloud or head over to Masami’s website to purchase from late January 2014. The page (originally in Japanese) also suggests the album will be available via iTunes.